At the start of 2012 HLS took delivery of their first 6 axle SL-semi low loader (single extendible). The experience of driving with this SL-Trailer was a great success and resulted in further orders been placed for SL trailers. 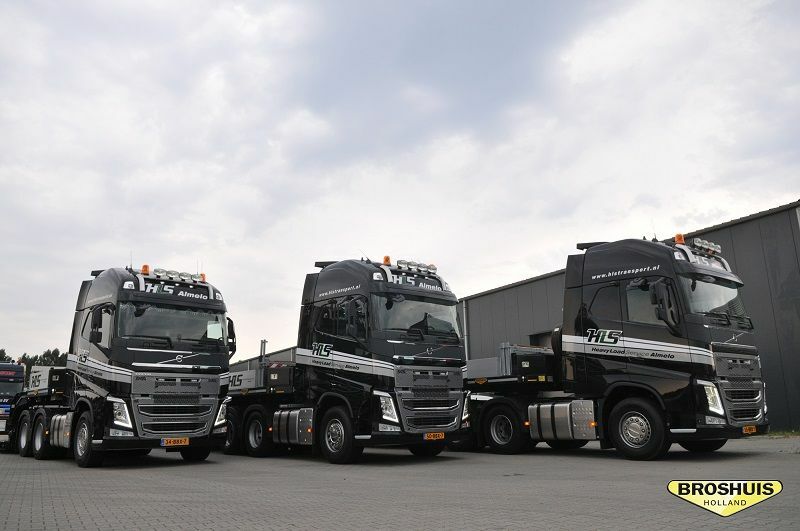 “The stabile chassis, 12 ton per axle line and the driving height of 85cm were my main reasons to purchase 3 new SL-Trailers” said Peter Klanderman, Owner and director of HLS. 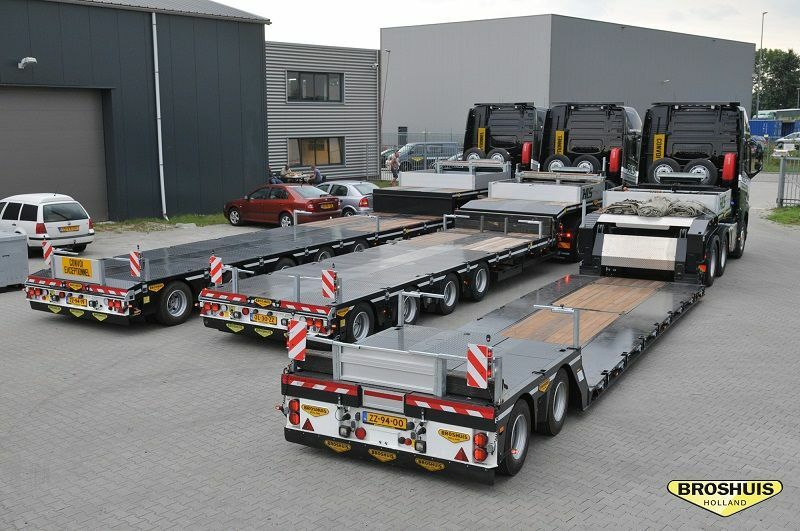 A nice example of a special and customer made trailer is the new 2 axle SL-Low loader. This single extendible low loader with low beams of 2750mm wide can be extended further with the addition of linkable beams to create a longer lower deck. When the driver does not require the linkable beams he can easily store the beams in the middle of the lower deck. Thanks to this technique the linkable beams are no obstacle for a return load. The lower deck has a length of 20 meter when it is full extended! 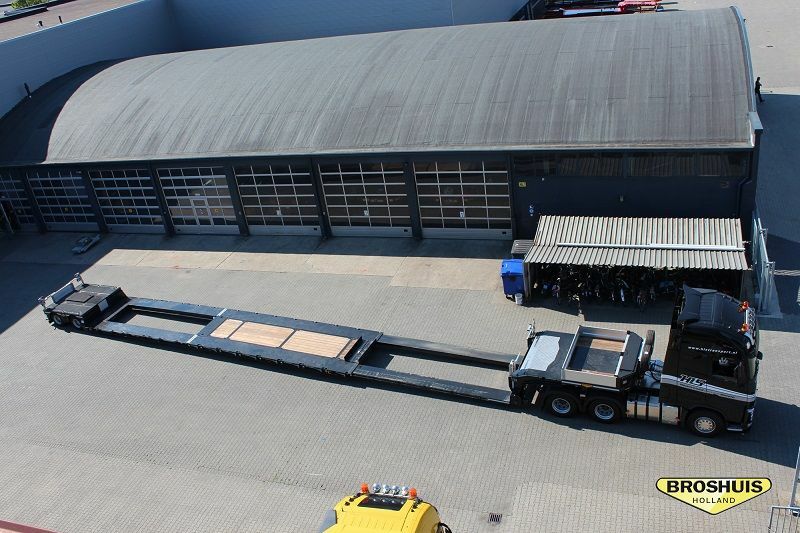 Together with this 2 axle low loader Broshuis also delivered a 4 axle and a 5 axle SL-Semi low loader to HLS. Both trailers have a loading height of 85cm. The 4 axle SL-Trailer is single extendible and the 5 axle SL-Trailer is double extendible. The 4 axle is build within the legal length 16,5 meter (for driving without permits) and is extendible up to 15.3 meter. 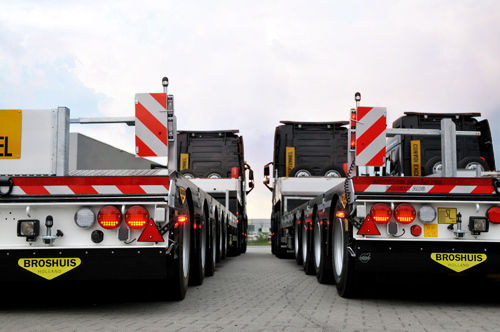 The double extendible 5 axle is extendible up to 27 meter. All trailers are equipped in the “HLS standard” with several toolboxes for loading security material, extra lights and over-width marker lights.